Today, modern medical advances have turned once-fatal diseases into treatable and curable conditions. Yet, the promise of life-saving treatments falls short when patients cannot rely on the safety and quality of available medicines. This is also an issue that affects nearly all of the world’s health priorities – efforts to combat and eliminate infectious diseases, reduce maternal and child mortality, treat chronic conditions and achieve universal health coverage – depend on medical products being safe and effective when they reach patients. According to the World Health Organization’s recently-launched landmark report, an estimated one in 10 medicines in low- and middle-income countries is poor-quality. Although poor-quality medicines disproportionately impact the poorest and most marginalized communities, the global nature of the pharmaceutical supply chain means that every country is affected. Poor-quality medicines harm patients and families. No one should have to sacrifice basic needs to pay for health care, only to receive poor-quality medicines that could jeopardize their health. Patients and their families sacrifice time, energy and resources to seek care, and they expect that the medicines they receive will work. In many parts of the world, this is not the case. When patients don’t get better – or worse yet, become sicker due to poor quality medicines – they might avoid taking medication or delay seeking care altogether. By delivering sub-therapeutic doses, substandard medicines provide just enough active ingredients for bacteria to become immune to common treatments. In some cases, bacteria can adapt to spread more easily or become even more dangerous. When common medicines fail to treat diseases, doctors are more likely to prescribe more aggressive, last-resort drugs. This in turn can create a vicious cycle and breed resistance to medicine’s last line of defense. If we do not address this problem, medicines we rely on for diseases like TB and malaria will no longer work, undercutting decades of investments and reversing global health progress. Poor-quality medicines waste precious resources. Every year, governments waste an estimated $30 billion delivering drugs that fail – funds that could be better spent on strengthening health systems, developing new tools to fight disease or building better surveillance systems. Families waste precious resources paying to travel to health centers and hospitals, buying medicines out of pocket only to find they don’t work. 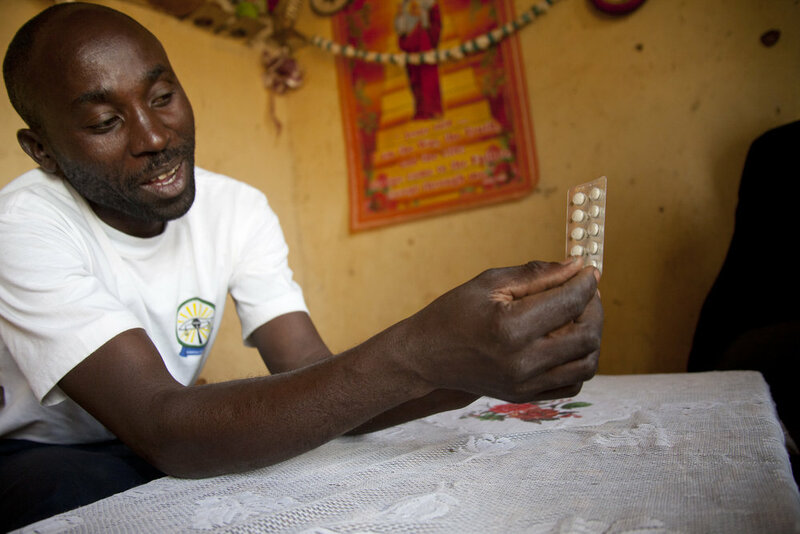 Every year, 100 million people fall into extreme poverty paying for health care – including buying medicines that are poor-quality. Beyond the losses in funding, poor-quality medicines undermine the time and efforts of countless individuals who have played a role in a medicine’s life cycle: from the chemists who formulated the drug, the supply chain managers who helped deliver the medication, to the health workers who administer the drugs to patients in need.